Early this week I visited the IAU‘s office of astronomy for development (OAD) in Cape Town, South Africa. In early 2011 I was very flattered to be asked to chair a task force, along with Pedro Russo from Universe Awareness, for children and schools. There are 2 other task forces, along with ours, which tackle issues of public engagement and universities and research. The aims of OAD are to promote the use of astronomy as a tool or route for development. The work of the OAD is not just applicable in the developing world but anywhere that development is needed. Astronomy is a perfect subject to capture people’s imagination and then use to nurture critical thinking and scientific understanding. The recent meeting in Cape Town was the first time all the task force chairs met in person with IAU representatives to talk about the past 2 years of OAD activities and what the future direction of the task forces should be. To produce a measurable change in the development of just one country is an enormous task, let alone working out a strategy for the whole World. The small team at the OAD, lead by Kevin Govender, are putting a great deal of effort to bring different communities together in recognising how an initiative like this can be a very powerful way of making that measurable difference. I have been to the European Parliament with Kevin to lobby MEPs on this topic, and know it is very hard work. As task forces, there are several ways that we help this effort. Task force chairs (Dr Edward Gomez, Dr Pedro Russo, Prof Ian Robson, Dr Katrien Kolenberg, Prof Ed Guinan and the IAU secretary general, Prof Thierry Montmerle. The task forces have between 6 and 9 members in addition to the chairs. Each person was chosen because of their experience and standing in the fields of education, research and public engagement in astronomy. The members are from all over the World to make sure there is no cultural bias. That tends to make having a meeting really awkward. We act as advisors to the OAD about ways to make the best impression with the resources available, new ideas or funding routes and support for lobbying politicians. The bulk of the work of each task force has been to review proposals for funding from members of the community through an open call. Our task force has consistently attracted more proposals than both the other task forces combined, making the job of reviewing very tough. Not only the volume of proposals but also because we do not have enough funding for many excellent projects. Tactile astronomy kits for visually impaired children to learn about astronomy. These include tactile Moon and constellation models with guidebooks printed in Braille. These kits have so far been delivered to 23 partners in all parts of the World (but especially the developing world). There are 8 more kits which awaiting extra funds to assist with delivery costs. A partnership between Polish astronomers and teachers in the Mathare slum in Nairobi. Schools in this area are paid for directly by this community, with many of the teachers not having any formal education beyond their own school studies. The programme brought vital equipment, teacher training and schools workshops to over 1500 children, as well as an astronomy festival for the whole community. more about astronomy through direct sky-viewing and observation. 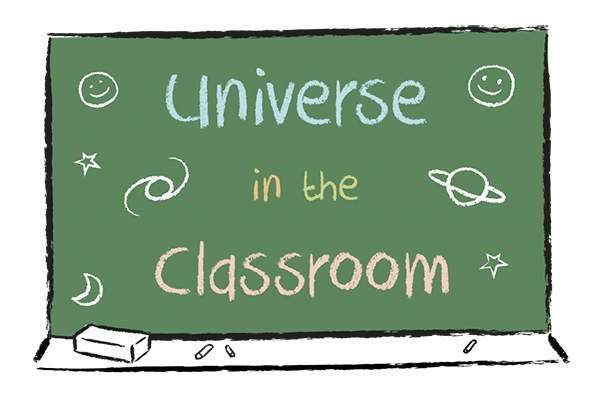 NASE is an IAU endorsed programme of teacher training for primary and secondary education run by professional astronomers. This project is to bring NASE to different countries in Africa (NASE has previously only run in Latin America). The aims of this project were to run workshops to inspire students by performing the same experiments that ancient greek astronomers also performed, making estimates of the sizes of the Earth, the Moon and the Sun and the distances of the Sun and Moon from the Earth. These students then engaged with their communities, spreading their excited for astronomy wider. In addition to the requests for funding from the community, the task forces are charged with creating global scale projects which fit into their specialism. So far there has only been one global project, which Pedro and I were heavily involved in, astroEDU. astroEDU is an open-access platform for peer-reviewed astronomy education activities and was launched in October 2013. For more information about astroEDU, including how to submit your activities, please read my previous post. The past 2 years have been totally enlightening for me and I am very proud to be part of this effort to use astronomy for a better World. This post was written by Dr Edward Gomez, honourary lecturer in Cardiff University School of Physics and Astronomy and Education Director for Las Cumbres Observatory Global Telescope Network.